Paolo Cavallone (b. 1975) is “a major composer of today’s music scene… [whose] diversity of writing is marked by a quest for openness of possibilities…” (Putsch). His works, which Italia Oggi called as “authentic jewels of contemporary music“, have been featured all over the world (Los Angeles’ Zipper Concert Hall; New York’s Merkin Concert Hall; Wellington’s Illott Theatre (New Zealand); Sacramento’s “New Music Festival” (USA); Schaeffler” Musica, Sorocaba (Brazil); “Festival de Música Contemporánea de Tres Cantos” (Madrid); Pittsburgh’s Bellefield Hall Auditorium; Samtida Musik Capitol (Stockholm, Sweden); Florence’s Teatro Verdi; L’Aquila’s “Società Barattelli” (Italy); Italian Institute of Culture of Los Angeles and Paris; American Academy of Rome; Rome’s Auditorium Parco della Musica; Season of the Ensemble Orchestral Contemporain; and many others). His works have been performed by: Rohan De Saram, James Avery, Roberto Fabbriciani, Magnus Andersson, Luca Sanzò, Orchestra della Toscana (ORT), Tonino Battista, Mitteleuropa Orchestra (MO), Marco Guidarini, Orchestre Symphonique de Bretagne (OSB), Aurélien Azan Zielinski, Ensemble Orchestral Contemporain (EOC), Daniel Kawka, Quartetto Guadagnini, Stroma Ensemble, Hamish McKeich, Roma Termini Orchestra, Enrico Blatti, Freon Ensemble, Farben Ensemble, Movses Pogossian, Lorna Windsor, Tony Arnold, Antonio D’Augello, Catarina Domenici, Laura Catrani, etc. His works, published by RAI Com (Italy), have been broadcast – together with interviews and/or programs dedicated to him – by RAI TV (the Italian broadcasting corporation), Radio RAI, Radio New Zealand Concert, Radio Capodistria, University Radio UFRGS (Brazil), Radio Citta’ Futura, and other radio stations. His music has been recorded on CDs released by Tactus, Albany Records, GuitArt, Domani Musica, and Suono Sonda. He received numerous commissions: Siemens Foundation, Dilijan music series of Los Angeles, Nuova Consonanza, Società Barattelli (Italy), and many others. 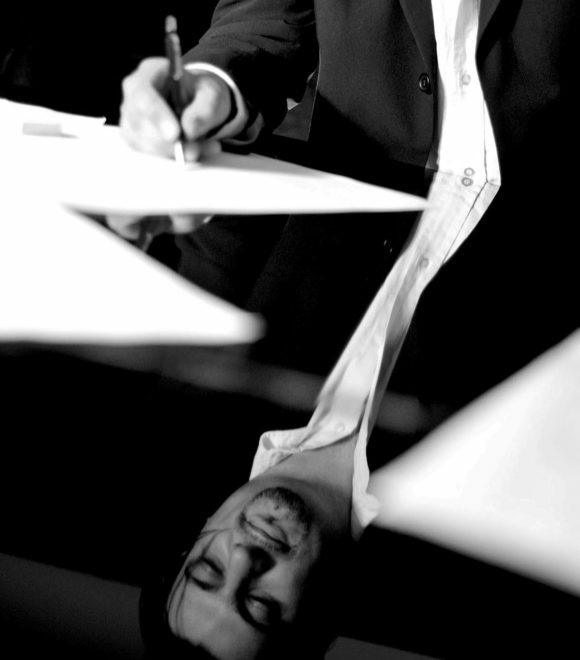 As a pianist, Paolo plays as a soloist, as part of chamber ensembles, and in modern and contemporary improvisation ensembles. He has been Professor of Composition at the Conservatorio “Respighi” of Latina (Italy). As Visiting Professor of Composition and Orchestration he taught at the New Zealand School of Music (Victoria University, Wellington, New Zealand). He also served as Piano accompanist and as Research Collaborator at the State University of New York. As guest composer, Paolo Cavallone has lectured at the Manhattan School of Music, University of Pittsburgh, McMaster University in Hamilton (Canada), Conservatorio “Santa Cecilia” in Rome, and other institutes. His works have been a subject of seminars at the National Music Conference of Uberlandia (Brazil), Cambrdige University (UK), and at the University of Aveiro, in Portugal (lecture-recital of Brazilian pianist Catarina Domenici – University of Porto Alegre). He has been a member of Nuova Consonanza (Rome) since 2005. Cavallone took his first composition, improvisation, and piano lessons at early age. 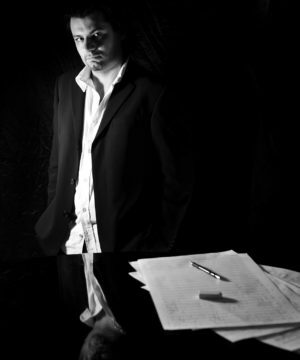 He graduated in Piano (Master), Composition (Master), and Instrumentation for Band (Master) at the Conservatorio “Alfredo Casella” of L’Aquila (Italy); and completed his high-specialization studies under Azio Corghi (Diploma di alto perfezionamento) in Composition at the Academy of Santa Cecilia in Rome and at Siena’s Accademia Chigiana. He graduated in Literature (laurea magistrale) at the University of L’Aquila and holds a doctorate (PhD) from the State University of New York (USA).